September 2017 was the annual ‘Openhaus’ hosted at Nobilia’s factory in Gütersloh. 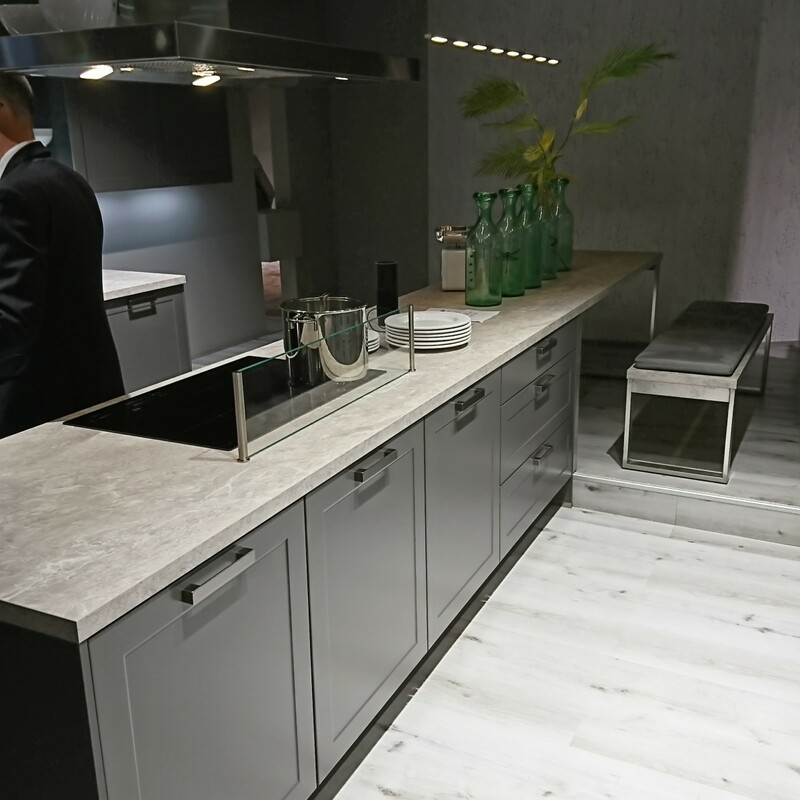 Here they showcase all the new modern, innovative new ranges and kitchen design elements that break the norms – very exciting! 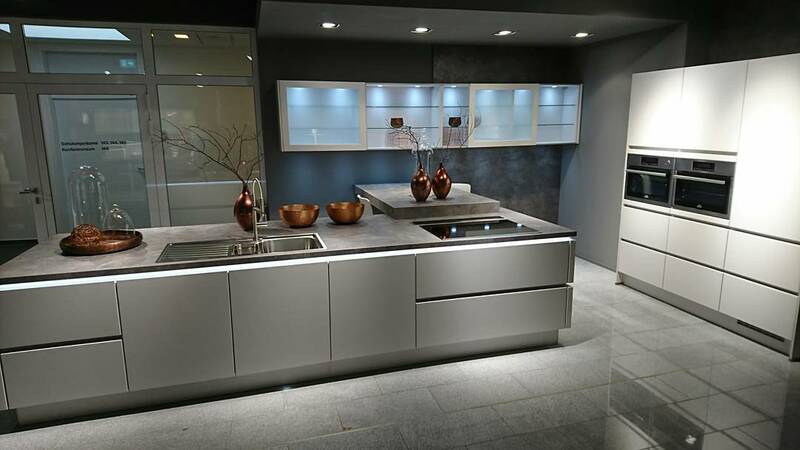 XL Cabinet Height – A new Kitchen Cabinet height – The idea behind this addition to the range is to keep up with not just kitchen trends, but the ergonomics kitchen usage and how many things can influence these changes – We as a species are growing taller! With the new cabinet height of 792mm (Traditionally 720mm) they have increased the storage space in each unit and increased the finished height, keeping your posture better for when you are hard at work in the kitchen. 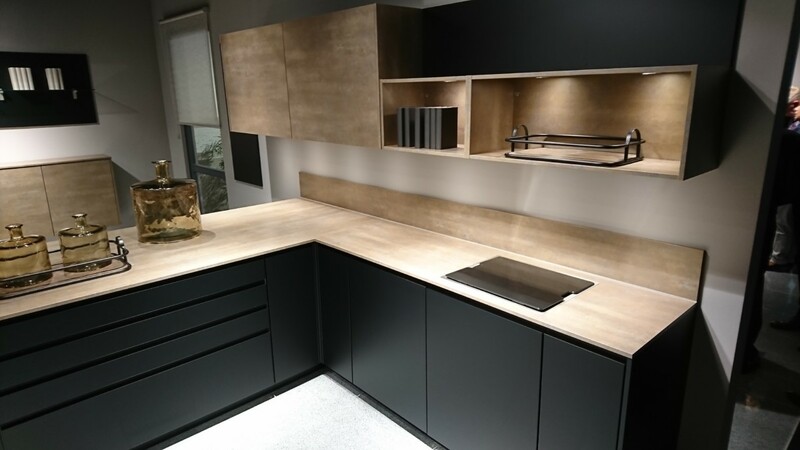 Colour Concept range new colours – They have updated the ever popular colour concept range, ‘Oriental’ was the standout new fascia for us – the rustic urban effect of this mixed with dark greys/black gives a very contemporary look – download the Nobilia E-brochure from the ‘Inkitchens‘ tab above and see for yourself..
A very informative trip all round which has given us inspiration of the new kitchen trends going into the new year and beyond..